As part of the final stage of refurbishments on the property, the suites take advantage of sweet features like high ceilings, exposed beams and brickwork, king-sized beds, freestanding roll top baths and large walk-in showers. These are matched with Barnaby Gates wallpaper and bespoke curtains, as well as antique furniture selected by the Heywood family. Mod-cons include 3D compatible 42-inch TVs, Nespresso machines, premium Tea from the Manor tea bags, as well as coffee from Cheshire-based coffee company, Jaunty Goat Coffee. The Vicarage is part of the Flat Cap Hotels group, a family business established in 2015 by brothers Dominic and Oliver Heywood. “We’re absolutely delighted with the new suites. They are finished to a high standard, offering guests a unique and charming experience, and are a great addition to the hotel’s 20 existing en-suite bedrooms. 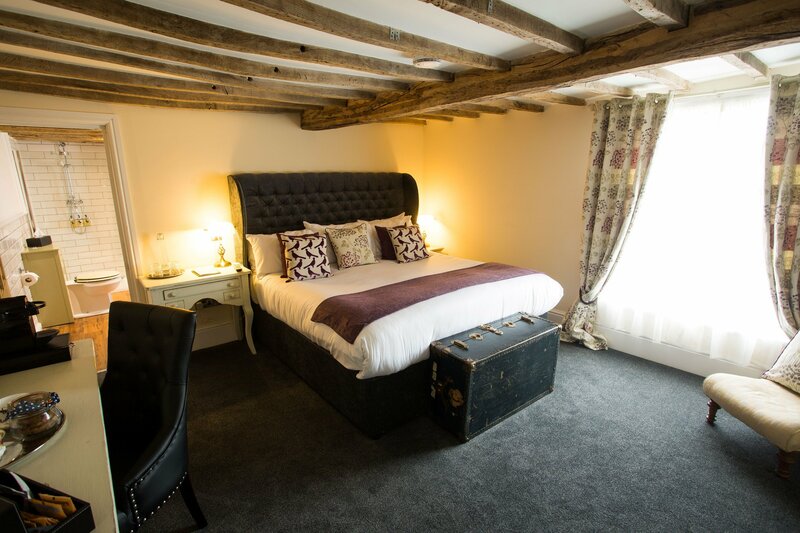 Located in the heart of rural Cheshire, The Vicarage is ideally located for a weekend escape to the countryside with your partner or loved one and, with the launch of the deluxe suites, guests can be assured of a memorable stay,” said Dominic Heywood. The Vicarage also has a delicious seasonal menu we’ll be sampling – using the best locally-sourced British ingredients with Steven Tuke, who joined from the Chester Grosvenor, as Executive Chef. The Vicarage is located in Cranage, Cheshire and opened in spring 2015. The property includes 20 en-suite bedrooms, six luxury suites and a 150-cover restaurant, bar, library and games room. Prices start from just £140 per room per night with a full English breakfast the following morning. The hotel is also dog-friendly, with a £10 surcharge per dog per night. To book at The Vicarage call 01477 533393 or email info@thevicaragehotel.co.uk.